Under 15s arrow-rightCreated with Sketch. Alton knew there was a lot to play for today and came out with great spirit, playing hard and fast from the first whistle. The pressure quickly paid off - the first points coming within 5 minutes with a beautifully weighted cross-field kick from Gregory Carter that had three Alton boys running on to it, the bounce favouring Josh Law, who dotted down and then converted his own try. 7-0 to Alton. The next try followed soon after, with Alton playing their trade mark style of rugby, moving the ball quickly to put Matthew Smoothy over in the corner. 12-0. Any thoughts, however, that this would be an easy win, were soon squashed by some powerful play from Winchester, who crossed the whitewash for their first score of the game, followed not long after with a second to close the gap to two points. 12-10 to Alton. Thankfully, the final score before half time went to us, with Eli Brozenich crashing over the line, followed by a successful conversion by Josh Law to restore a two score lead at half-time: 19-10. The game was far from over and Alton knew they would have to continue to work hard and keep the pressure on if they were to stop Winchester's strong runners. And they stepped up to the challenge, with some great pressure in defence, ultimately creating an opportunity for us with a great support line from James Richardson drawing Winchester's winger out to create the space for Joshua Gregory to power over the line for our fourth try of the day. 24-10 to Alton. Winchester closed the gap to 24-13 with a penalty kick before a lovely run from Josh Law committed two defenders and created the space for Matthew Hodges on the outside to take the off load from Josh, put on the afterburners and just avoid the clutches of the Winchester full back to score our fifth and final try of the day. 29-13 to Alton. Although the game had probably got away from them, Winchester did not give up and it would be the boys in yellow who would add the last points to the scoreboard, with a well worked try taking the final score to 29-18. 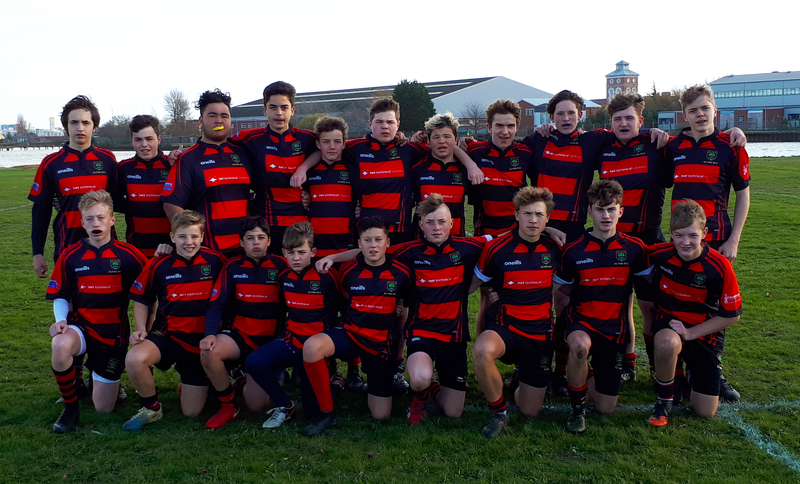 A great game of rugby, played in good spirits, and ultimately a good win for our boys to give them a shot at their fifth successive Hampshire title. Next up, old rivals Trojans in the the final on 28th April.